Featuring an articulated knee construction for excellent levels of movement and a GORE‐TEX® membrane with micro-fleece lining that offers waterproofing, warmth and breathability, the Durban Gore‐Tex® pant is ideal for the toughest adventure touring trails. These versatile pants, with their removable bib and braces, are optimized for use with the Durban Gore‐Tex® Jacket and other textile jackets models. Multi-material shell construction for optimized levels of durability, protection and weight. Lightweight polyamide main construction with protective polyamide inserts. 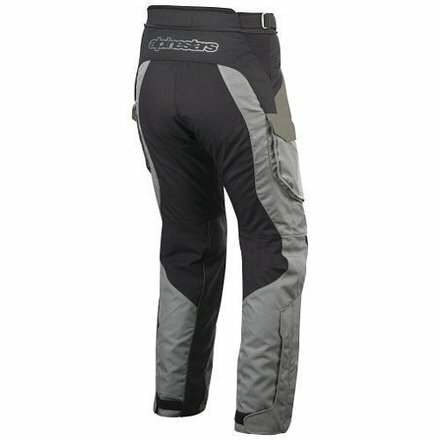 Robust, medial lower end leather panel gives extra abrasion resistance. 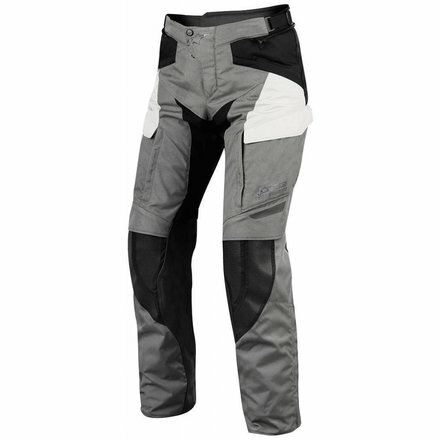 Alpinestars’ patented Vector knee construction for superior comfort in the riding position without reducing mobility. Removable certified lightweight knee protectors. High visibility reflective detailing improves rider’s visibility in poor light. Welded, ceramic coated Superfabric® reinforcements enhance the tear and abrasion resistance qualities of the pants. Lightweight, removable GORE‐TEX® membrane with micro‐fleece liner provides waterproofing and allows garment to breathe. Articulated rear panel for extra support and freedom of movement. Extended air-intakes help keep the pant well ventilated. External 100% waterproof pockets on the side of the pant. Removable bib and braces gives the rider the option of an extra secure form of fitment. 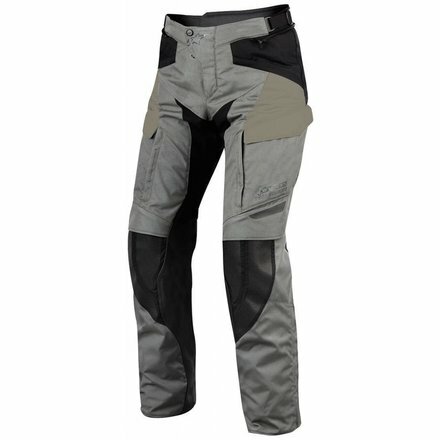 The Durban pant is designed to accommodate the fitment of various off-road riding boots. Comes in international sizes: 48-60.